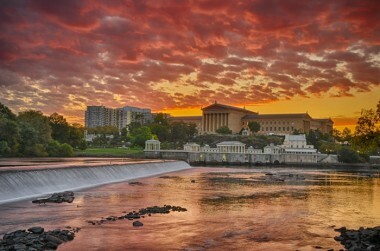 Sunrise at the Museum is a daybreak impression looking across the Schuykill River towards the Philadelphia Museum of Art. The museum is one of the largest and finest art museums in the United States. 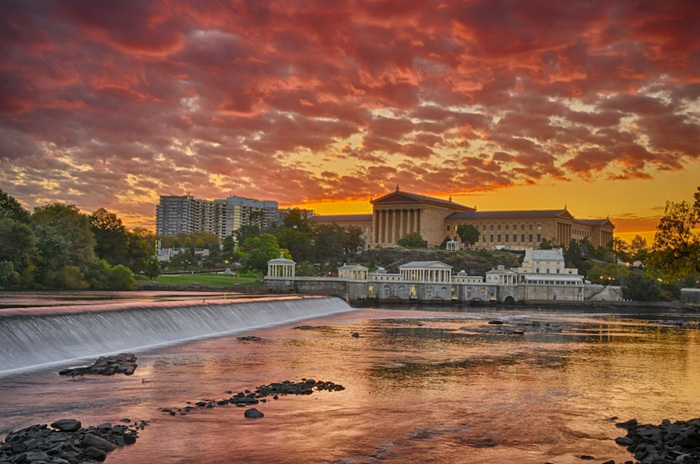 This magnificent Greek Revival structure opened in 1925. The glow in the sky reflects the sheer joy of the beauty I had experienced weeks before at special exhibit that I seen at the museum – van Gogh Up Close. I have a grandson in Philadelphia. I travelled from Seattle to visit both. When you look at this image recall those renewing moments of beauty that have come your way in life.